I heard that word and my writer-mind began to spin. What exactly is a gentleman? I know what it used to mean. 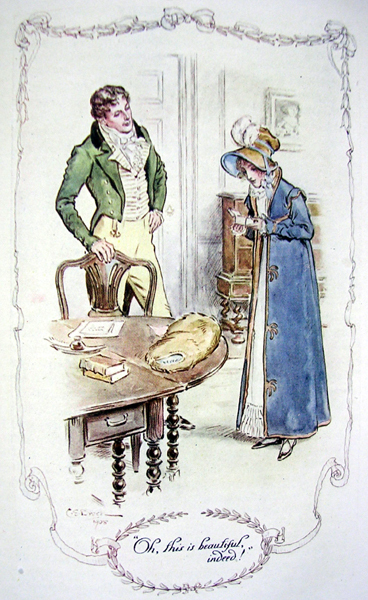 In Jane Austen’s time, it meant being a member of the land-owning gentry. A gentleman didn’t have to hold a job because he could live off of the rents paid on his estate. Obviously, times and definitions have changed. I know in my bones what it means when someone calls someone a “gentleman” — but have I ever tried to explain it in words? Could I explain it in words? The challenge was irresistible. So here, in bullet point format, is my best attempt to unpack the word “gentleman.” See if you agree. *A gentleman is usually courteous. He’s not likely to give you the finger when you are, in his estimation, going too slow on the freeway. * We can probably all agree that a gentleman treats women well. I don’t want this to turn into a “should men pay for dinner” or “should men open the doors for ladies” debate (although I will add that my husband exhibited both behaviors on our first date, which made him rocket even higher in my estimation). But one thing I’ve come to realize is that seeing women as intellectual equals and acting in a chivalrous manner are not mutually exclusive. I think modern gentlemen are able to do both. And, even more importantly, real gentlemen care about women having freedom and the chance to be self-actualized. This isn’t just lip service; they really believe it. *Most gentlemen are also, at their core, gentle. “Quiet strength” seems to go with the territory. You just don’t find gentlemen flying off the handle or exploding into Stanley Kowalski-like brawls, slugging their pregnant wives. *A gentleman sees the innate human dignity of others, all others. Remember in Pride and Prejudice, when Elizabeth goes to Darcy’s home and hears from the housekeeper about how well he treats all the workers on his estate? Previously, she had accused him of not being a gentleman, but a testimony like that goes a long way towards altering her initial opinion. You can be fairly certain you’re on a date with a gentleman when he is genuinely and unostentatiously kind to the guy who comes and refills the water glasses. Looking back over my list, it seems like a pretty daunting description. Is all this just too much to ask? I’d say yes, except that I happen to have known a fair number of guys throughout my life who actually have all of these qualities, and who display them most of the time (nobody’s perfect). I hope that twenty years from now, the same will be said of my own little boys, too. Keeping that end goal in mind is useful when handling the day-to-day decision points of parenting. And as I wrote this blog post, I had a fascinating realization. My faith — the one I was raised in, and which I’ve chosen again for myself as an adult — encourages all of the above behaviors. It seems that if you live a life geared towards aligning yourself with God and loving others, you may find yourself being a gentleman without even thinking about it. That indeed is good news. So what would you add to my list? Are there gentlemen that you know and love in real life? In fiction? So today is the birthday of Jane Austen. I didn’t know this until I heard it mentioned on the classical radio station I sometimes listen to on my commute. 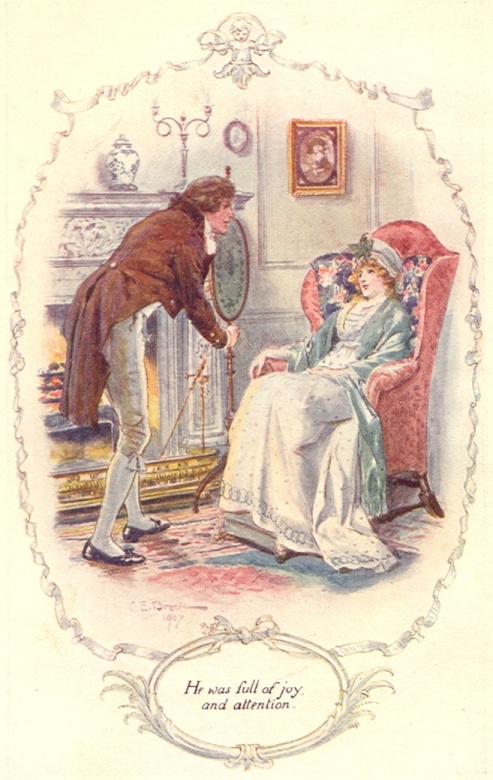 As an English teacher and a serious Janeite, I felt a bit sheepish that such an anniversary almost passed unnoticed on this blog. 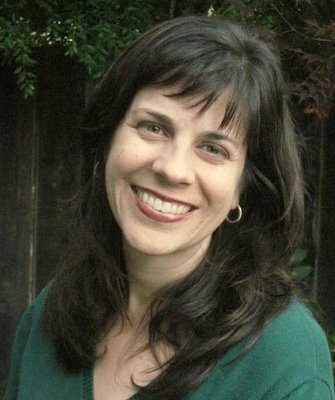 I resolved, as I turned my car into the school parking lot, that I would celebrate Jane in a little blog post. 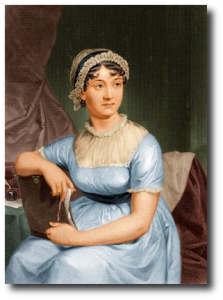 I also started to think about what the world would be like now if Mrs. Austen had not given birth to that baby girl in December of 1775. (How very “It’s a A Wonderful Life” of me, no?) And I have to say, I was as displeased with the thought as George Bailey was when he discovered his wife as a sad, lonely librarian and met with surly, mean old Nick behind the bar. A world without Jane? What would it be like? 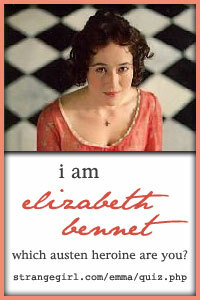 For one thing, there would be no beloved characters like Emma or Elizabeth Bennet. And a world without Mr. Darcy? Can you imagine? Who would legions of young women swoon over? We’d also lack some fabulous plots, twisty and turny and full of surprises. Every time I read an Austen book, even though I know how it turns out in the end, I’m always amazed by the delightfully labyrinthian route that Jane takes to get us there. Without Jane, the world would lack some fabulous whip-smart dialogue. I love how the people in Austen novels express themselves with such delicacy, grace, and pithiness. It makes me feel like some big ungainly verbal bear in comparison. But most of all, we wouldn’t have six fabulous novels to affirm that intelligent, authentic, kind women really do win in the end. I can’t tell you how much comfort that thought has given me over the years, particularly when I was single. 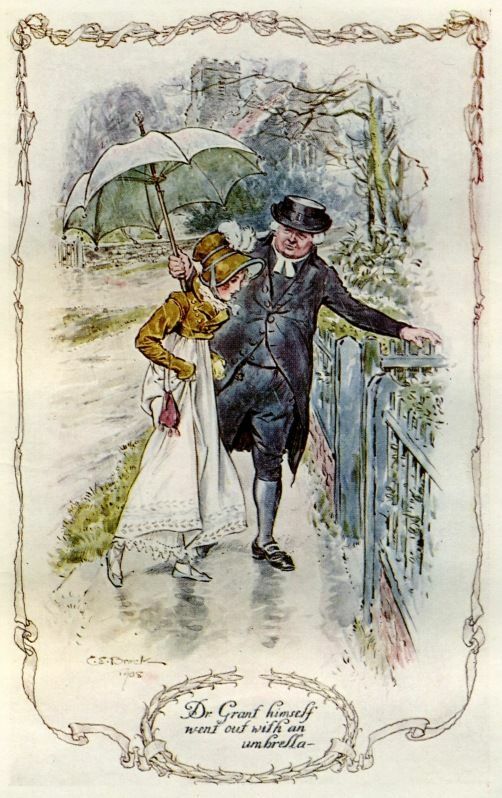 And so I wish a very happy birthday to Miss Jane Austen. Thank you for making life just that much more wonderful. I need me a little Jane Austen. So last Sunday, I was watching the second installment of Emma on Masterpiece Theatre. And oh, it got to the ball scene, where Emma and Knightley are dancing — and falling in love without even being aware of it themselves — and man oh man, it was the most romantic thing I have seen in years. The smiles, the glances, the little movements as they wove their way through those intricate Regency dance moves — I swear, it made me feel butterflies on their behalf. “Honey, do you remember when we were newly in love like that?” I asked my husband, who was sitting a few feet away in our toy-strewn living room, working on his laptop. He looked up briefly and smiled. Yes, we do remember, even though that part of our history lies beneath nine years and many layers of accumulated experiences. Every now and then, we can still tap into that giddy feeling: like, say, when a movie scene reminds you of how much you love your own Mr. Knightley. Zowie. And it got me wondering: what do you think is the most romantic movie scene ever (or one of the most romantic scenes ever, if it’s too hard to choose)? Is there a movie that makes you get all giddy and smiley and weak in the knees? Comment away! I can’t wait to read your thoughts!